And a Happy New Year to you! Yes, it's been a while. I understand that my disconnection has been a cause of concern for some and I apologize for worrying anyone. Rest assured, though, that 2018 me is the same raging bundle of internal conflict you've come to know. 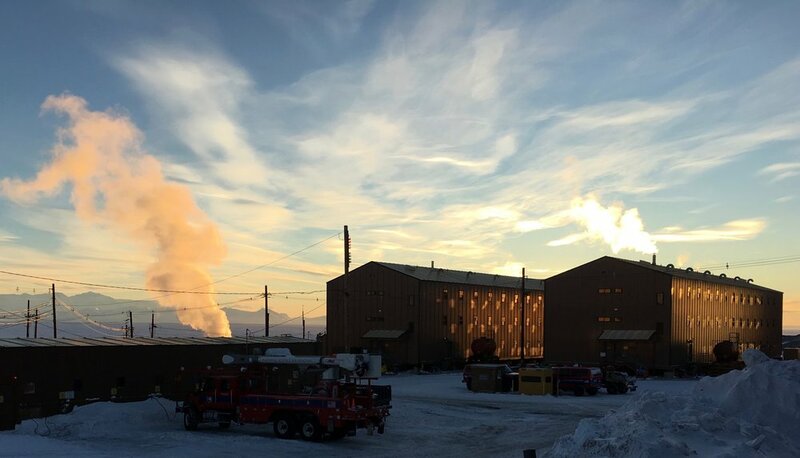 Life at McMurdo is moving along and, in fact, I just hit the halfway mark of this year's deployment earlier this week. New Year's Eve was marked by the annual Icestock festival. I played in three bands, going back to my high school ska roots, paying homage to the straight edge aggression of Minor Threat and kicking off the post-midnight celebration with everyone's favorite mid-90s dance pop. Super fun and a success despite a few hazy missteps. The last three and a half months were spent mostly in the band room practicing and in the Crary science building working. Being in five bands has felt like an over-commitment more often than not, but each show quickly reminds me why the hours of practice and scheduling practice are worthwhile. I'll manage my commitments better next year (he said every year). Work at Crary has been up and down, with some 7-day work weeks early in the season to get my feet under me. Necessary, but unsustainable. So after figuring out how to actually do the job and learning that the two people I work with are both lovely people and coworkers, work has been manageable. Working with the science grantee groups has even been super rewarding at times, getting to know the projects this whole station is here for and the people who come up with them. This year's Summer Supply crew. I've three and a half more months to go, including the annual parade of sea vessels cutting channels in the ice and delivering cargo and fuel in about three weeks. Then station will wind down for the following three weeks and once late February hits I'll be leading a crew in auditing the entirety of our science supply inventory until mid-April. So, in the interest of actually pressing "Post" rather than leaving another draft to collect dust, I'll keep this short. Miss you, love you.